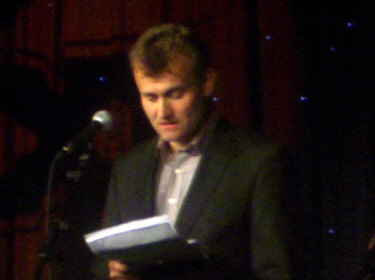 An actor, comedian, impressionist and writer who began his comedy career doing voices for Spitting Image, this is Hugh Dennis. Together with comedy partner Steve Punt, who he met as a Cambridge University student, he formed half of The Mary Whitehouse Experience. Dennis has performed on various TV and radio shows, including My Hero, in which he took the role of obnoxious GP Piers Crispin. He has guest hosted Have I Got News for You, stars in BBC sitcom Outnumbered, detailing the lives of a middle-class London couple and their three children, and is in great demand as a voiceover artist. Here are some funny jokes by this popular comedian. Sat Nav is terrible. You know when people have a Sat Nav on as they’re not looking at anything; they’ve no idea where they’ve gone, or where they are going. Viewers of a nervous disposition may be interested to know that your television is off and I am speaking to you from inside your head. I’m sure there’s a connection between what I do now and what my father (a bishop) did – both of us dress up and stand in front of lots of people. Itchy skin, dry flaking scalp? You disgust me! Mock the Week returned to BBC2 in June, and the second DVD of the series is out now. Catch Hugh in Outnumbered on the BBC, or watch repeats on Sky Channel Gold. Image used under creative commons license, flickr/dantaylor.